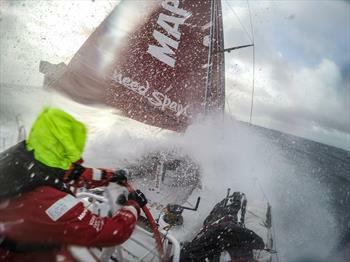 The Dongfeng Race Team made the joy of Chinese fans by winning the third leg of theVolvo Ocean Race on Monday (26). The Asian boat crossed the finish line at the end of the evening (GMT) and was received by his supporters, who filled the Regatta village in Sanya. The Chinese boat, commanded by Charles Caudrelier, also made history by being the only one in the country to win a leg of the around the world. The result also puts the team in the lead of the Championship with just 5 points lost. “It was the most stressful step I’ve ever been in my life, but the result was fantastic,” said Charles Caudrelier. “The passage through the Straits of Malacca was the hardest point of the leg”. The team completed the race of 4,642 nautical miles in 23 days, 13 hours, 31 minutes and 38 seconds. Dongfeng also stayed in the boat lead 22 days, i.e. almost the step between Abu Dhabi and Sanya complete. The historic feat shows the evolution in Chinese sailing. The Dongfeng Race Team is the third country in the regatta boat, after the campaigns of Green Dragon and Team Sanya, in 2008-09 and 2011-12, respectively. In addition to having a sailboat, the Chinese count with six crewmen of the country on board. “It’s a long-term project,” concluded Charles Caudrelier, who did not fail to praise the performance of his teammates. 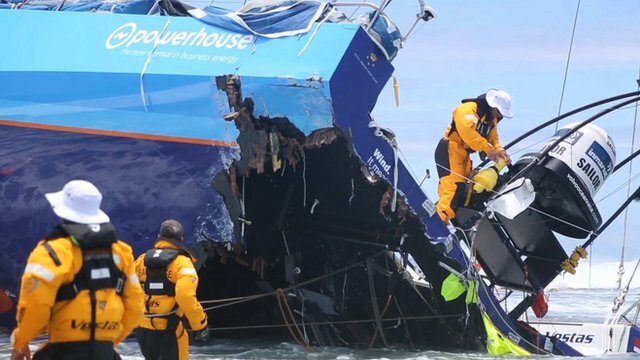 The next boats in the Volvo Ocean Race to cross the line of arrival in Sanya, already on Tuesday (27), are Abu Dhabi, Team Alvimedica, MAPFRE and Team Brunel.